HMAS Hobart conducts officer of the watch manoeuvres with HMAS Toowoomba while enroute to South East Asia. Image via Commonwealth of Australia, Department of Defence. 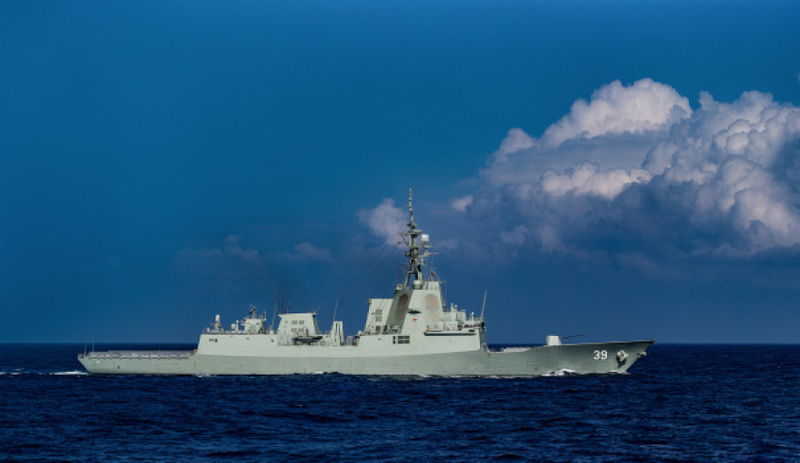 Despite Defence officials recently rejecting concerns raised from the Australian National Audit Office’s (ANAO) Naval Construction Programs ‑ Mobilisation report, the ANAO has stood by its findings and recommendations. The report, published on 14 May, found that the Naval Shipbuilding Plan was based off assumptions made when the 2016 Defence White Paper was published, but key factors have since changed, with the Future Submarines now confirmed for construction in Australia and the OPVs and Future Frigates commencing construction earlier than expected. The report also said that key risks to the naval shipbuilding projects "relate to the delivery of expected capability, program cost, ability to meet program schedules, and management of the industrial base. The Naval Shipbuilding Plan did not address the management of these risks in any detail". In statements to Senate estimates, head of Defence's Capability Acquisition and Sustainment Group (CASG) Kim Gillis said the statements in the ANAO report, which spoke of high to extreme risks in the government's Future Frigates program, were based on or quoting Defence's own assessments of the program in early 2016, while other comments were "out of date". "This was our statement that the audit office was reporting on. It wasn't the audit office's assessment that this program is high to extreme, they were reporting on the documentation that we provided them; this was Defence's assessment of the risk in 2016," Gillis said. But while being grilled by the economics reference committee examining the future of Australia's naval shipbuilding industry, representatives from the ANAO stood by its report and did not wish to offer any modifications to its report. "Our report was of course tabled on the 14th of May 2018 and it includes at page 12 a Defence response, a formal written Defence response to the audit report which was received on the 26th March 2018," an ANAO representative said. The officers from the audit office also argued they do not need to stand by the high to extreme risk terminology used in the reports because it was "departmental advice". The report also found that Defence is meeting milestones, albeit all projects remain in their early stages. "Defence is currently meeting scheduled milestones to deliver the Offshore Patrol Vessel, Future Frigate and Future Submarine construction programs, although each program is still at an early stage," the ANAO said.